RuLead - Affiliate CPA network reviews and details. 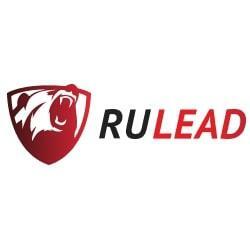 Rulead is a CPA/CPI Network created by the professionals in Internet Marketing & Advertising. Our Company deals with direct advertisers & publishers therefore we can provide you with numerous exclusive campaigns and specific developer traffic sources. You can check Rulead reviews and Offers on Affbank and ask Rulead Team any question by using the contacts above, especially about how to earn money! I have tried other networks several times but I always return to Rulead. Keep up the good work! I hope for the long-term cooperation with you. Rulead is full of anything you might wish for. Offers, support, payments. Extra cool! Rulead is in the top of my very best networks I've worked with. Love them to the moon and back. These guys are the real deal! The best network of partners I've worked with. It's pleasant to work with these guys. This is a team of professionals! All I can say it is nothing but pleasure to work with them. Always great offers. I agree with those who respond well about them. We’ve enjoyed our partnership for a couple of months so far. Very hard working people.